The attack by Baloch separatists on labourers in Turbat last month was a timely reminder that there is more to Balochistan than the state’s high-handedness. The atrocities of the armed forces reviewed in the preceding blog-post take place in, and are part of, a two-way conflict. 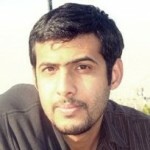 Mama Qadeer’s son, Jalil Reiki, was the information secretary of the Balochistan Republican Party, headed by Brahamdagh Bugti. Brahamdagh is also believed to control the Balochistan Republican Army and, alongside Harbiyar Marri and Allah Nazar Baloch, credited with leading the insurgency in Balochistan. All three are designated as terrorists by Pakistan. The insurgency, which has often been romanticised because of the neglect of Baloch demands and general deprivation in the province, has sadly become increasingly problematic. To the extent that it displays a host of defining features of terrorism. “I do not want to justify the acts of Baloch fighters but they say they only attack spies and collaborators”. History, however, suggests the “spies and collaborators” line to be an excuse for a terrorist operation. 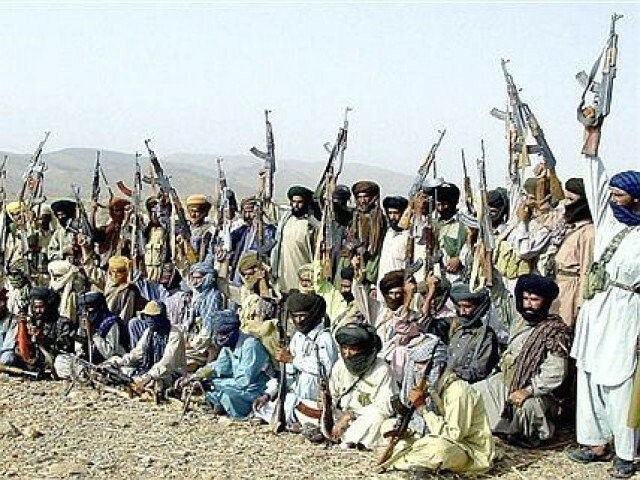 The Tehreek-e-Taliban Pakistan (TTP), for example, killed scores of alleged informants and tribal elders it saw supporting the Pakistani government in FATA. Also, it’s not really true. As one former BSO-Azad member, now affiliated with the “independence movement”, explained, the separatists want all settlers gone. Actions speak even louder, and the tale they tell is clearly one of ethnic cleansing. The attack that killed 20 labourers, settlers, recently was not an anomaly. Innocent settlers have been killed regularly for not being Baloch, including women. Baloch Nationalist leader Hasil Bizenjo puts the number of settlers killed by insurgents equal to his estimate of the number of missing persons; 2000. The Balochistan-Punjabi Ittehad put it at 1,200 back in 2011. The HRCP’s Balochistan head put the number at 1000 Punjabi settlers killed by last year. In addition they have been threatened and hounded out of Balochistan on a very large scale – 90,000 from Quetta city alone – leaving livelihoods and property behind. Having been all but driven out of the Baloch majority areas by now, only a few survive in Pakhtun-dominated areas, or work under the watch of the security forces. Like the labourers that were murdered earlier in April, who, to the surprise of many, included ones from Sindh. But those following Balochistan closely know that even Hindko-speakers and Urdu-speaking settlers have been a target for some time now. The insurgents also go after other Baloch, “informants” obviously, but people seen as pro-Pakistan; even anyone going to contest in or cast votes for an election is threatened. It is often remarked that the Pakistani national anthem isn’t heard in schools there. Muzaffar Jamali, a principal of one such school, was attacked by the insurgents and his 10-year-old son was killed in 2012, for allowing the singing of said national anthem. This wasn’t a one-off incident either. Schools, and teachers in particular, have been the targets of insurgents all along. This is similar to the TTP’s agenda. HRW’s report Their Future at Stake recorded killings of 22 teachers by 2010. Attacks on schools were so rampant that government schools opened for only 120 days of the year. Lastly, journalists in Balochistan are also threatened by the Baloch insurgents for favourable coverage, and killed when necessary. All security forces personnel and state employees are the more legitimate targets, including kidnapping and execution-style attacks. The kidnapping and execution of security personnel is – as was the case with targeting schools, alleged informants or supporters of government, opposing figures and relative minority groups – a trait the Baloch insurgency shares with the TTP. The insurgency is divided into factions that clearly don’t see eye to eye, and their quarrels have manifested in attacks on, and killings of, each other’s militants. Despite appeals for the militants to work together against the state, by Mr Talpur for instance, the divisions have not gone away. Perhaps this can be explained by the different backgrounds of the people who have taken up armed struggle. Harbiyar Marri is carrying on the long fight by the Marri tribal leaders against the state of Pakistan. Allah Nazar started as a political activist from BSO, not a tribal sardar, and became increasingly more radicalised with time. Brahamdagh and his grandfather meanwhile had always stayed away from siding with separatists until General Pervez Musharraf encroached on late Akbar Bugti’s authority in Dera Bugti. Whatever the case, these divisions add to an already weak insurgency. The military has outsourced the insurgent problem to the FC, a force designated for, and simultaneously undertaking, the manning of the border – one which does not have significant military grade firepower. Yet, as Mr Bizenjo noted, the insurgents can’t defeat them. What they can do is become a liability for those sympathetic to the Baloch cause with their many terrorist operations. This is part 2 of a 3 part blog. The next part will take a look at how people’s politics influence positions they take on HR abuses in Balochistan and elsewhere. Would the PPP leaders care to explain why people in Thar are dying? the extremists have now started killing other ethnic groups, such as Sindhis. Many who disappeared and their bodies are not found are not even with security forces either, they are underground fighters, most often across the border and involved in attacks and killings of laborers, other non-Baloch Pakistanis and sometimes soldiers of FC. People like Brahamdagh Bugti and Herbiyar Marri are not interested in problems of common Baloch, they want to use them as fodder of their guns to restore the legacy of their ancestral oppressive rule. Constitution of Pakistan would empower the common Baloch whom they oppressed for hundreds of years. I agree Balochistan did not get the fair share of the economy it deserved but still a little by little would have changed a lot. Billions of rupees poured in to Baluchistan over six decades, still infrastructure not developed, no schools no hospitals, why ? For the past six decades these Marri, Bugti, Mengal, Jamali, Magsi, Raisani and Bhutani had been ruling the province, why didn’t they educated common Baloch people ? Because they do not want to, it will break the age old oppressive order of the society. Their own kids go to Europe and US for education and live in Cities while common Baloch lack even basic necessities of life. They use them only to blackmail the federal government to skim more money for themselves.